Welcome to the city dubbed the sports and culture capital of Australia: Melbourne. This is your guide to the 3 BEST hostels in Melbourne, so you focus on exploring the city. Melbourne is a beautiful multicultural blend of art, fashion, design and cuisine. Of course, there is no exception with fantastic hostels in Melbourne either. We condensed it all to the 3 coolest hostels in Melbourne. We do not have a 5 Star Hostel in the city, so we’ve hand-picked the 3 top hostels in Melbourne for you instead. 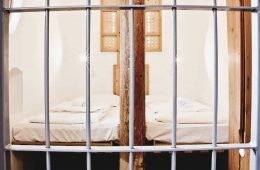 What can you expect to see in this article? Don’t forget to check out all our best hostels in Australia. 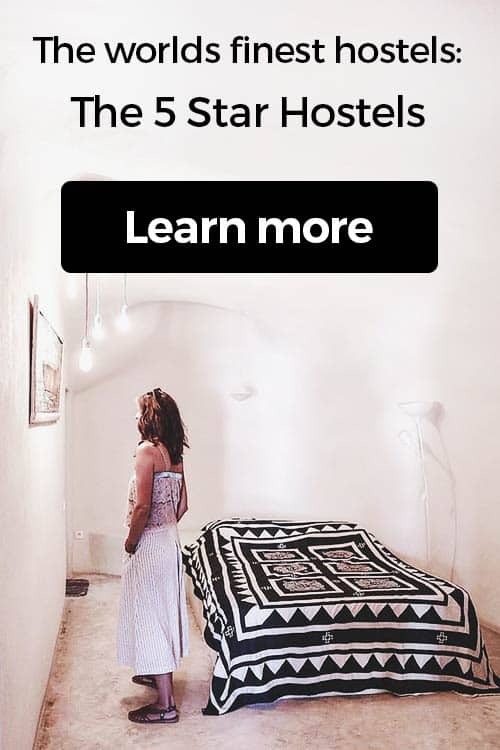 Average price for a bed: A bed in a dorm can be as cheap as 14€ ($18) up to 35€ ($42) per night. This is a rough average just to give you an idea. 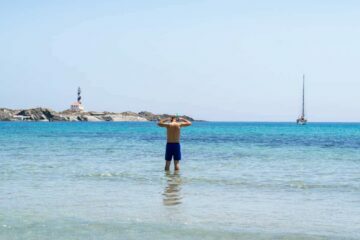 In this guide we will also show you how to find the cheaper places for backpackers. 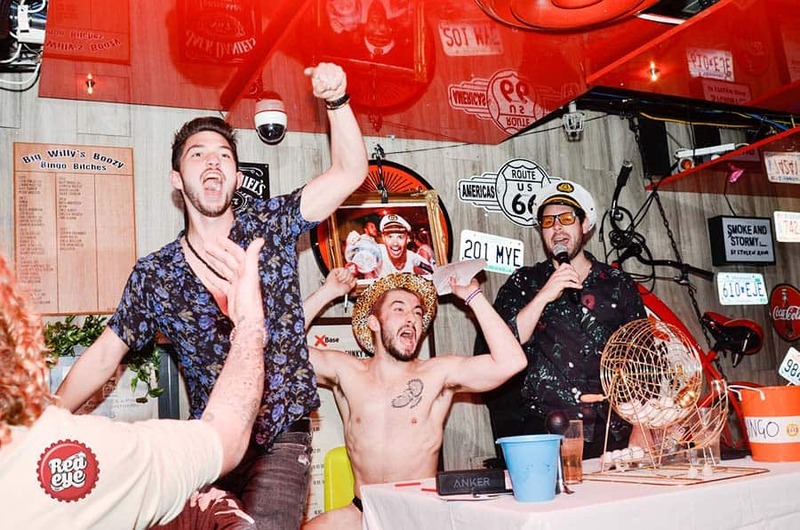 Party vs Chill: Oh yes, you can party hard in Melbourne. 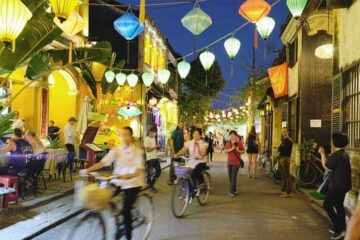 At the same time, there is fantastic hostels to mingle and just chill. 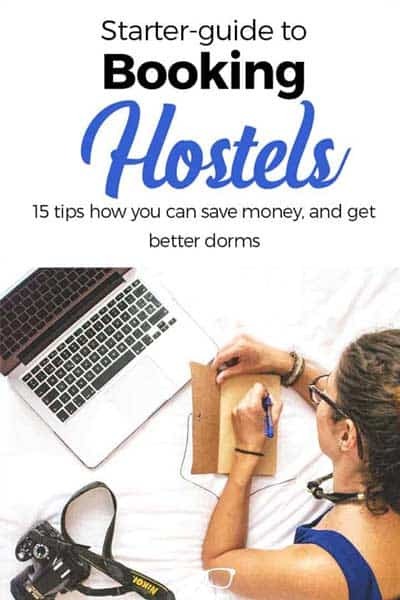 Just pick the right type of hostel you want! 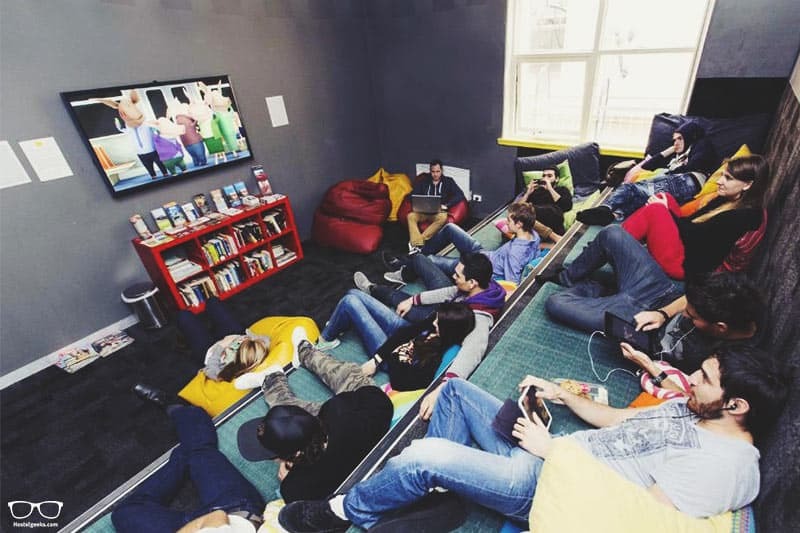 Let’s waste no time and introduce the top youth hostels in Melbourne. Hand-picked by us, of course! Don’t let the name fool you. Space Hotel is a traveller’s HOSTEL, where luxury meets budget. This is our #1 recommendation for you. 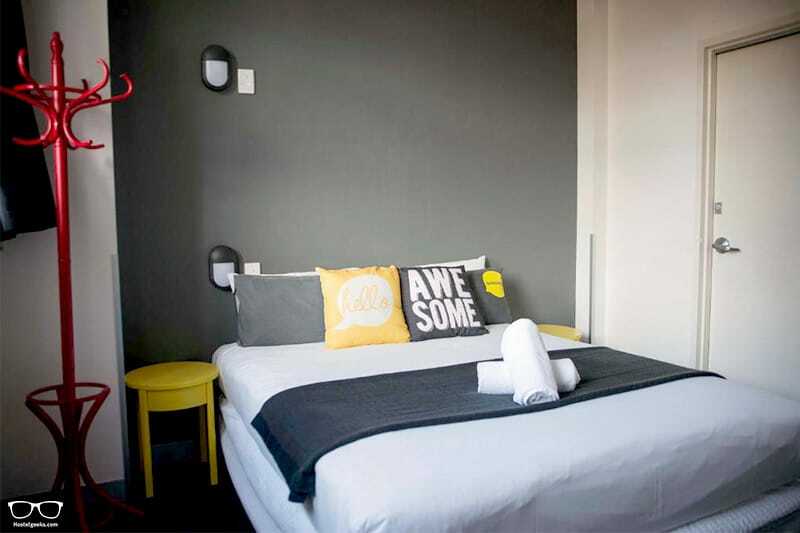 This chic, stylish boutique youth hostel is in the heart of Melbourne city – a space designed for your comfort and enjoyment. We believe it’s a perfect place for couples, female solo travellers and friends. Choose between 4, 6 and 8-bed dorms or a private room. A flat-screen TV and iPod docking station can be found in the latter. Plus you’re own private balcony in selected private rooms! Each dorm bed has its very own personal light, secure locker and power point. Linen is included. Why would you want to even step outside when you have all this? Oh and again: ROOF TOP WITH JACUZZI! 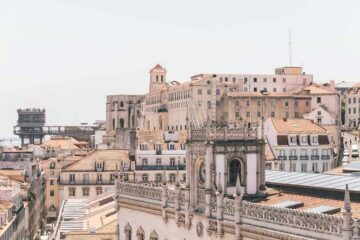 The view across the city from the rooftop is spectacular. Big windows in the rooms, kitchen and communal areas create a bright, open space. The Design Hostel in Melbourne is surrounded by the best shops, cafes and restaurants. It’s just a 5 minute walk from Melbourne Central Station within the CBD area. Seriously, this hostel is a top choice if you are looking for a fine, safe and fun hostel. At the same time, you can sleep well at night and have some fun and mingle in the common areas. United Backpackers is rated one of the best hostels in Melbourne. Not just by us, but travellers too! 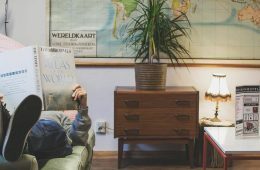 If you want funky decor, quirky art and tons of personality; this is the backpacker hostel for you. This awesome hostel is recommended for adventurous types and social wanderers. Dorm beds have a personal locker, power socket and light. Doors work on a secure key card system. Make sure to ask a friendly staff member about the free, daily tours and events! On-site there is a super cosy communal TV lounge. Before heading out to the surrounding CBD area, grab yourself a refreshing drink at the on-site basement bar. 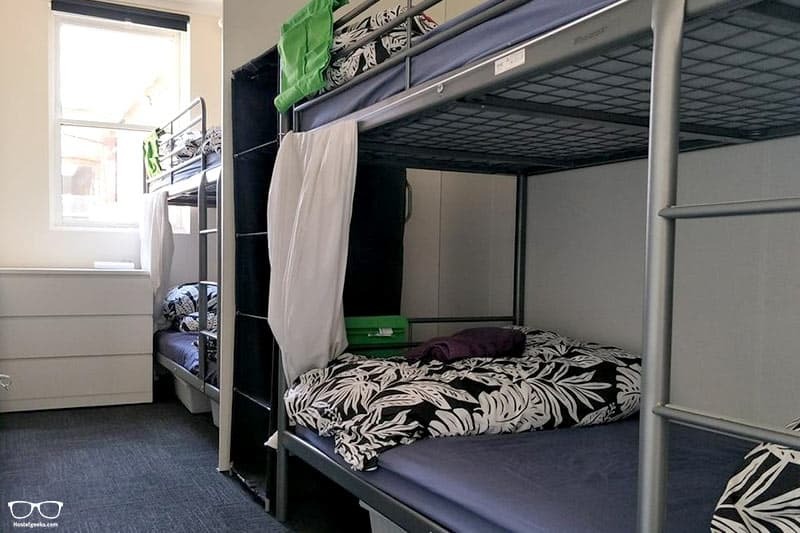 United Backpackers offer the best location right opposite Flinders Street Station. It’s a 2-minute walk to St Paul’s Cathedral and 5 minutes from Federation Square. Easy going, small and open-minded; Landing Pads Brunswick is designed especially for the independent working traveller. Looking for work on a Working Holiday Visa? Wanting to stay long-term in Melbourne? Great! Landing Pads Brunswick is the best hostel in Melbourne for you. 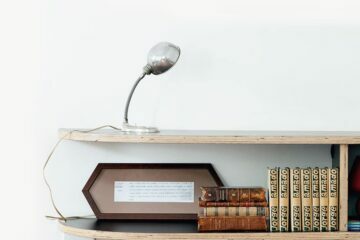 Forget big, cold hostels: this one is purposefully small and cosy to create more of a big house-share feel. 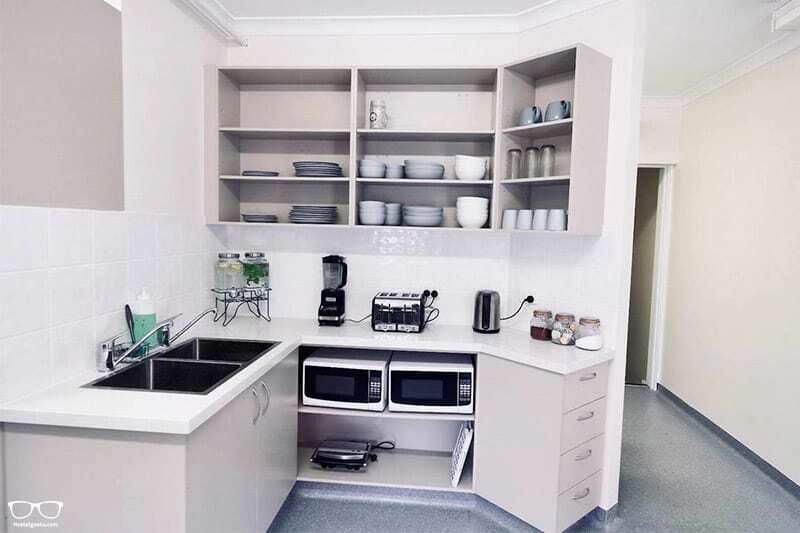 Landing Pads has been newly renovated with a brand new kitchen, bathrooms, garden heating and air-conditioning. People tend to stay at this hostel for weeks, not days, making this a perfect place to meet new, lifelong friends. 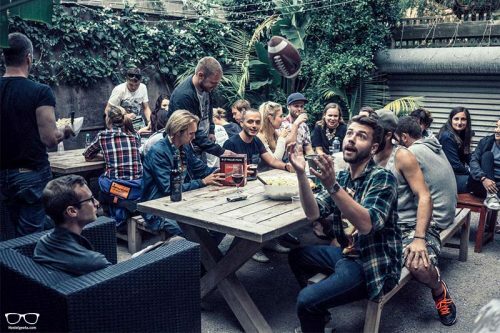 There is no on-site bar, which means you can bring your own beers and chill with the easy-going social vibes of this hostel. It discourages party animals and strengthens a social culture that suits everyone. Important: Guests are required to book at least a 7 nights stay. This is more like a big house share than a hostel. Staying longer = amazing social environment. Landing Pads is located in the suburb of Brunswick, only 20-minutes from Melbourne CBD. There is a handy supermarket just 200m from the hostel. Heaps of cheap but amazing cafes and restaurants can be found along Sydney Road. It is one of the perks of staying just outside the city centre! 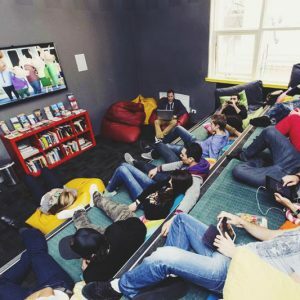 Best Hostels in Melbourne for Solo Travellers? 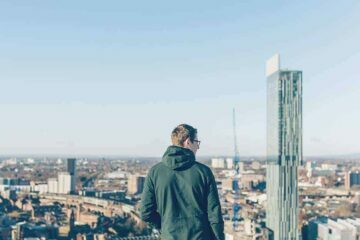 So you’re travelling alone and want to meet new people? As stated above, we think Space Hotel is a top choice for both female and male solo travellers! Yet, there is a few more options we would like to mention. 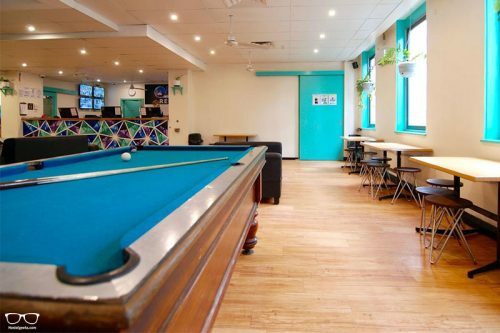 The Nunnery is a unique hostel in Melbourne for solo travellers. This stunning old Nunnery was built in 1888 and the vintage charm still remains throughout. There is a different themed event every day including movie night, sausage sizzle and a pub crawl. Dorm rooms include a social space, and out in the courtyard, you’ll find large seating areas designed especially to encourage guest interaction. 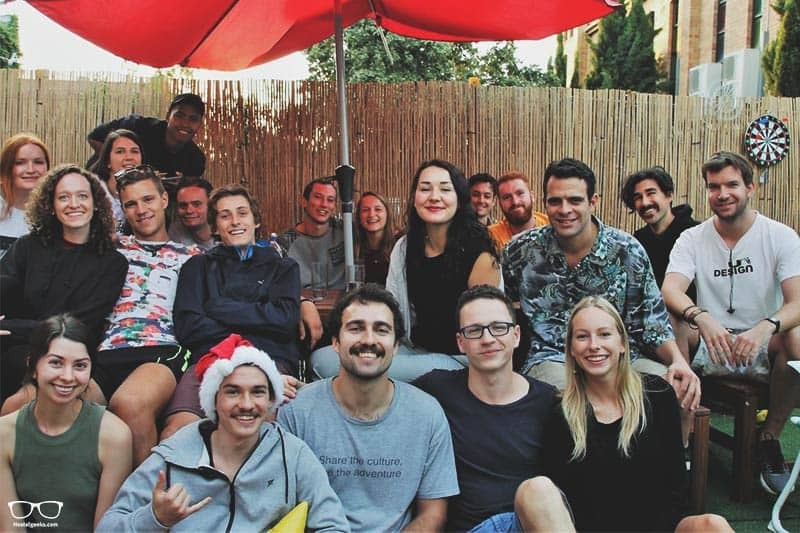 Let us also mention Flinders Backpackers – another recommended hostel in Melbourne for solo travellers. Here it’s impossible not to meet new friends in the optional 18 bed dorm! Make use of the huge communal area, large shared kitchen, pool table and weekly FREE events. You wanna party? Okay okay…we have got something juicy for you. …and then we tell you our bet recommendation for PARTYING: BASE St. KILDA! 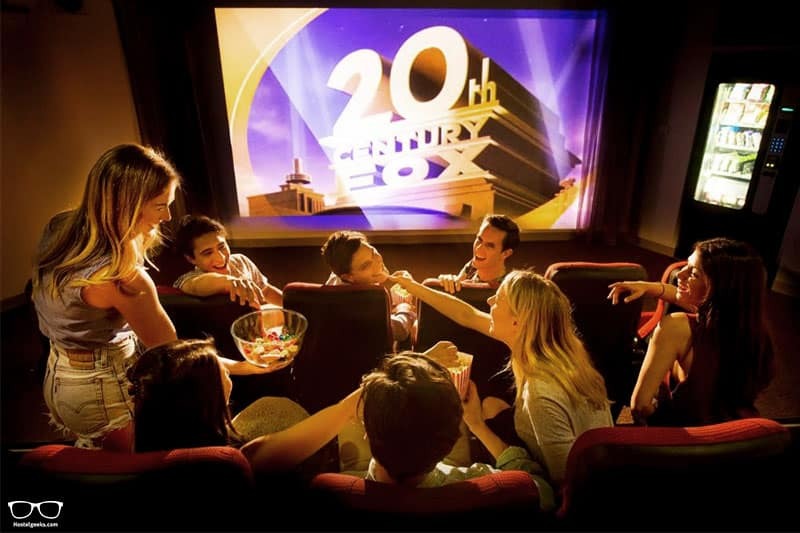 Base Backpackers St.Kilda is the #1 entertainment and events based hostel in town! There is a onsite bar, which already gives you a hint, right!? nightly events in their world famous Red Eye Bar! Foam parties, silent discos comedy nights – YOU NAME IT, they’re all happening at Base St.Kilda. No kidding! This is the place to party hard, have some fun etc. This hostel is popular for US-citizens, Germans, British and more western backpackers. 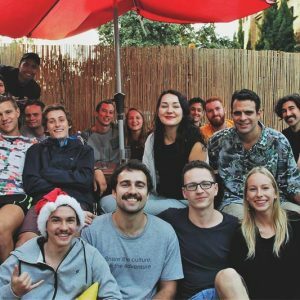 Here is a video of the best party hostel in Melbourne. Currently, we have no special hostel discounts or promo codes for hostels in Melbourne. Our 15€ discount code already expired, now, that is really a pity. 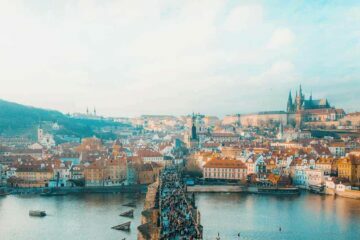 We are working on a new coupon code for our users and new promo code SPACE Hotel and all the other cool places to stay. Subscribe to our newsletter. Here we share our newest promo codes for hostels and hotels in Melbourne first. 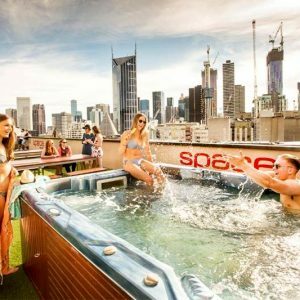 What about cheapest hostels in Melbourne? 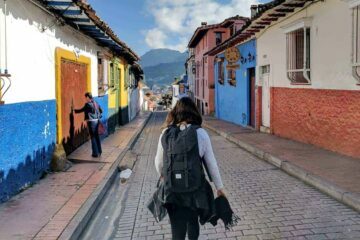 If you are traveling on a shoe-string budget and you wanna save every penny, there are ways to find the cheapest places for Backpackers in Melbourne. We’ve created a handy map to help make your planning even easier. Find locations of all the 3 cool Hostels in Melbourne, plus some of the top sights to visit in and around the city. The best way to see Melbourne is, of course, to Hop-On-Hop-Off! Fancy heading out of the city to explore? We highly recommend taking a Great Ocean Road Day Tour from Melbourne. 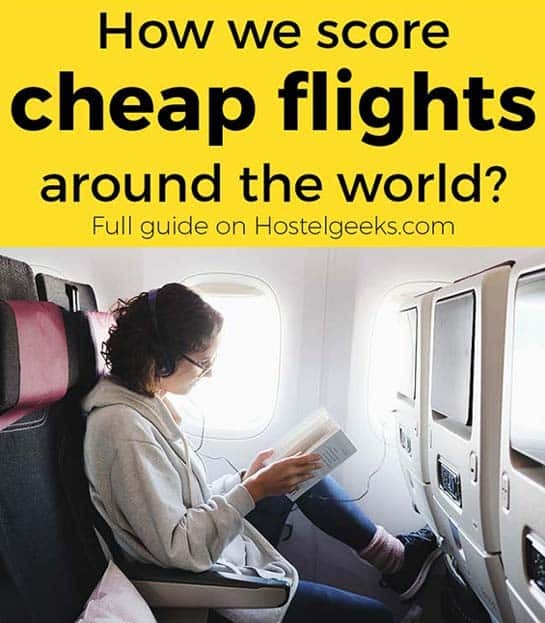 Are the 3 Best Hostels near Melbourne Airport? Melbourne is a big city and consequently, there aren’t any hostels near Melbourne airport. This is because the airport sits 23km (30-minutes) from the city center. Good to know: there is a 24 hour shuttle bus to and from the airport. The shuttle will drop you at Southern Cross Station. From here the tram and train is easily accessible to the city and our listed 3 best hostels in Melbourne. Use the map above to get a better understanding for the city. We included the airport in the map too, you can see it in the Northern part of the city. We enjoy Kiwi.com to find cheap flights all over Oceania including Melbourne, Sydney and more. This new website has super cool features like a so-called radius search. Just draw a circle over Oceania and find the cheapest rates for the area. 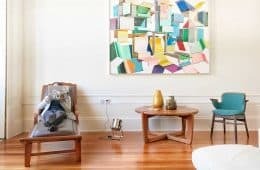 OKay, by now you have the answer to your question where to stay in Melbourne on a budget. Heading to Alice Springs? Here’s our guide to cool things to do in Alice Springs. 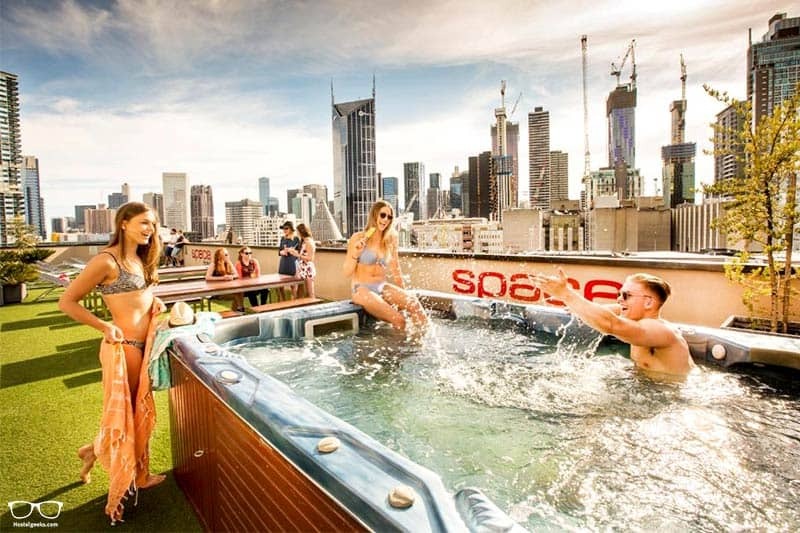 By now we have given you three awesome places to stay on a budget in Melbourne. 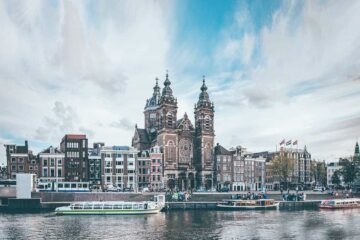 And we have given you a solid introduction to sights and what to explore. Do you have any questions? Anything not clear? Please please bother us with your question(s) and leave a comment below. 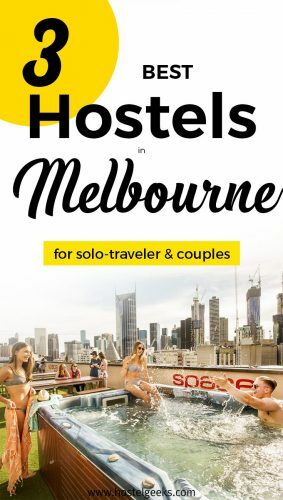 We want to make this guide to hostels in Melbourne, Australia as useful and detailed as possible. Your question(s) actually help us to improve and helps you to get your travels sorted out.